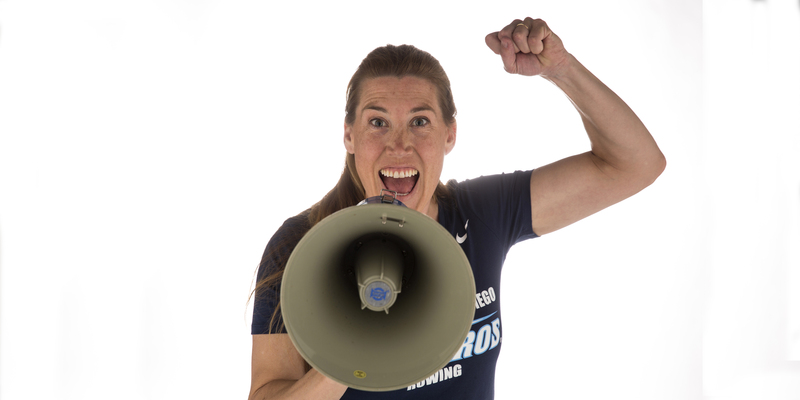 Credentials: In her first season as the head coach with the University of San Diego Women’s Rowing team, Olympian Sarah Trowbridge brings extensive experience as both a coach and a rower. A member of the University of Michigan crew team during her undergraduate career, Trowbridge helped take the university to two Big Championships and NCAA Championships. After graduation, Trowbridge pursued numerous competition opportunities, including a six-place finish at the 2012 London Olympics in the double sculls. In addition to this, Trowbridge has coached on the national and international stage as a part of the Yale and Georgetown programs as well as a position as a U.S. National Team coach. The Wild Child: Growing up, Trowbridge was a wild child. Bursting with energy, her parents signed her up for a wide array of sports, all in the hopes of wearing her out. During high school, on a whim, Trowbridge decided to give crew a try. It all clicked, and she hasn’t looked back. Her drive – to prove she can succeed. Not one to be held back by a challenge, Trowbridge is motivated to work harder and go faster, anything that will make her a better athlete and coach.